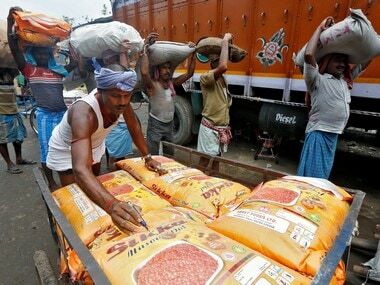 New Delhi: As the deadline to launch the biggest tax reform in the history of independent India nears, there is understandably some nervousness over what the Goods and Services tax (GST) regime will mean for the aam aadmi. It may not fuel headline inflation since most daily use products will be at neutral or lower taxation rate, but the transition from multiple taxation levies to a country-wide single system will not be without glitches. The worst to be hit under GST regime will be small businesses, the informal sector. These companies will find it hard to operate in the short to medium term, much like the demonetisation era where their businesses were also hit the hardest. To begin with, the compliance costs will be daunting for small traders where as big businesses will be better able to absorb such shocks. 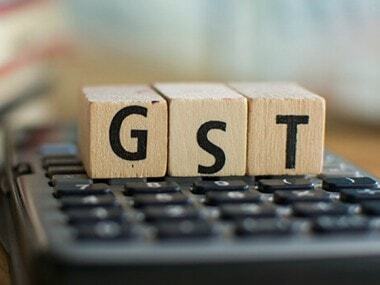 In a statement, the Confederation of All India Traders (CAIT) has said that GST is a technology driven taxation system which requires mandatory compliance through digital technology only. 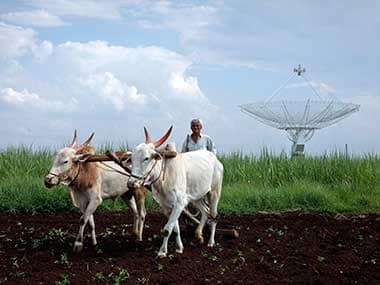 “It is a fact that as of now, nearly 60 percent of small businesses in the country have yet to adopt computerisation in their existing business format. Therefore, though traders want to comply under GST, perhaps they may not be able to do so for want of technology. “ The CAIT has sought an alternate mechanism to enable traders without requisite technological prowess to also comply from the law on day one, which is 1 July. CAIT further states that half of the nearly six crore small businesses fall under the threshold limit of Rs 20 lakh and do not require registration under GST. Another about one crore traders may opt for ‘Composite Scheme’ but will have to get registered under the new tax regime. Remaining about two crore small businesses do not fall under any indirect tax law and will have to comply with the new rule mandatorily. “ A large number of these businesses do not own computers since under the current VAT regime most of the tax compliance was done through paper formalities….” CAIT said. Analysts at brokerage firm Philip Capital seemed to echo what CAIT said. In a note to clients last week, analysts said that larger companies are clearly better prepared for GST implementation with their IT systems in place. Smaller companies typically follow the lead of larger companies and will implement with a lag. For larger consumer companies, this better readiness could translate into market‐share gains –both in staples and discretionary. So the key beneficiaries of GST would be biggies like HUL, Colgate Palmolive, Havells, Asian Paints, Titan Industries, Bajaj Electricals and Crompton Greaves. Taking the example of auto components, analysts at Credit Suisse said in their note to clients that the supply of unorganised goods seem to have dried up in the last month or so. Locally made unorganised batteries were hard to find as they were out of stock, and tyre dealers said that shipments of Chinese tyres have not really recovered post demonetisation. Though the analysts said it was yet to become clear if this is due to the unorganised players putting on a wait-and-watch hat or due to trade insisting on tax paid goods due to compliance fears under GST, they also noted that dealers thought the unorganised market will find it very difficult to operate in the GST era. Take the local battery market with limited or no branding and largely tax evaded. Here dealer stocks were hard to find and the retailers alluded to the lack of supply from local/unorganised manufacturers in the past few weeks. 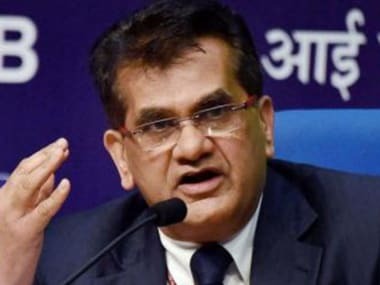 Likely reasons for this could be: (1) the supply chain is now insisting on buying only tax paid/complaint goods and thus tax evaded batteries are not being bought by the trade, (2) unorganised players want to wait and watch until the dust settles post the GST implementation and will then take a call on resuming supply. Analysts also say that share of the informal segment in the tiles industry will decline from 40 percent currently to 20 percent, a Mint report said. Similarly, nearly 60 percent of the ready-mixed concrete market is unorganised. In the light electrical segment, more than 35 percent of the businesses are in the informal sector. Industries like dairy, jewellery, air conditioners etc have highest component of informal sector – over 70 percent. These sectors may witness greater difficulties in complying with GST norms than those sectors where large, formal sector businesses exist. Economists say that the informal or unorganised sector accounts for nearly 50 percent of India’s gross domestic product and is responsible for more than 80 percent of total job creation in the country. Analysts at brokerage DBS said given the scale of the changes under the GST regime, implementation will be challenging. The extent of readiness amongst businesses, consumers and the collection network will be the biggest challenge apart from the regulatory machinery. The government believes that some 80 percent of businesses (using the previous tax system) have already registered for the new GST network. Most large companies are geared up but the same is not true of small and mid-sized firms, especially in the unorganised sector. Teething issues are to be expected but should fade in subsequent months.